My previous articles commenced a series on the rapture of the church. We began with the question, "What is the Rapture?" This question can best be answered by noting ten truths about the rapture from 1 Thessalonians 4:13-18 and 1 Corinthians 15:50-58. In previous articles from 1 Thessalonians 4:13-18, we saw that the rapture is an important doctrine and not something that can be marginalized or explained away as a secondary doctrine. We also noted that the rapture is an event that is distinct from the Second Advent of Christ. We further observed that the rapture will involve the catching up of every believer to meet the Lord in the air, and that the rapture will involve a reunion between living and deceased Church-Age believers. We then began to examine several more points from 1 Corinthians 15:50-58. We noted that the rapture will be a resurrection, will exempt an entire generation of believers from death, will be an instantaneous event, is a mystery, and is an imminent event. We now move on to our tenth point. Tenth, the rapture is a traditional doctrine now being recovered. It is common to hear anti-rapturists attack the doctrine of the rapture on the grounds that such an idea is not found in church history until very late. They argue that the doctrine did not exist in church history until the writings of John Nelson Darby in the 1800's. They ask, "if the rapture is such a clear biblical teaching, then why do we not find the idea prevalent in the writings of the church fathers, in Christendom's great creeds and confessions such as the Apostles' Creed or the creed of Nicaea, and in church tradition?" Why do none of the great sages of the past such as John Calvin or Martin Luther ever mention the rapture? Some even go so far as to link Darby's rapture teaching to spurious and suspicious sources such as a young female charismatic prophetess named Margaret MacDonald. Several responses can be given to these common contentions. First, arguments such as these epitomize a host of logical fallacies. One such fallacy they commit is called the recency fallacy. This fallacy assumes the veracity of an idea based upon how recently the idea was taught in the history of the Christian church. In other words, if something is not taught until late in church history, it cannot be true. Such misguided thinking represents a logical fallacy, because the veracity of something is not determined by what time in history the teaching arose. The standard for truth is, "does the concept harmonize with biblical revelation regardless of the chronological era when the idea arose?" Just because an idea is taught early on in church history does not necessarily make it true. For example, many of the earliest church fathers taught baptismal regeneration (salvation by baptism rather than by faith alone in Christ). Although this idea arose early on in church history, this fact alone does not make it true since it contradicts the biblical record (Eph. 2:8-9). Early ideas are untrue if they are not biblical. Conversely, late ideas can be true if they are biblical. 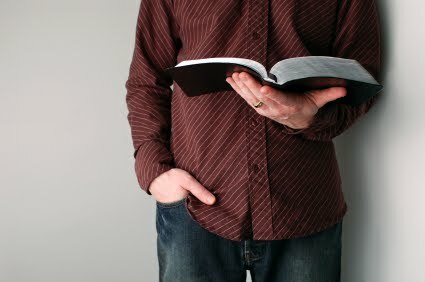 Consistency with Scripture determines an idea's truthfulness and not when the idea originated. Another logical fallacy committed by those who seek to discredit the rapture by linking the doctrine's origins to Margaret MacDonald is the genetic fallacy. This fallacy assumes the truth or falsehood of something based upon the source of an idea. Such thinking is fallacious since truth is determined by consistency with biblical revelation rather than where or from whom the idea supposedly originated. Paul speaks of those who preach the gospel out of corrupt motives and yet rejoices since at least the gospel is still being preached (Phil. 1:15-18). In other words, because the gospel is objectively and biblically true, it remains true even if it proceeds from the mouths of those who have impure motives. If an idea is biblically verifiable, it is true even if a questionable source reiterates the same idea. As a side note, scholars have carefully refuted the notion that Darby got the idea of the rapture from McDonald. However, even if such a refutation did not exist it would not detract from the doctrine's truth as long as the rapture can be found in the pages of God's Word. All of this to say, the rapture cannot be discredited simply on the basis of the alleged recency of its origin or in seeking to anchor its source in Margaret MacDonald as long as the rapture doctrine is found in the Bible. Second, it must be remembered that this argument from silence in church history has been used before. In fact, it was used against the Protestant Reformers. At the Diet of Worms in A.D. 1521, John Eck sought to discredit Luther's teachings of faith alone (Sola Fide) by grace alone (Sola Gratia) through Christ alone (Sola Christus) based upon the Scripture alone (Sola Scriptura) to the glory of God alone (Sola Deo Gloria) by arguing that such teachings cannot not be found in the teachings of the popes, priests, and church fathers. Luther responded by noting that his doctrines could be found in the writings of a church father who was far more significant than any source that Eck could produce. Luther's source was none other than the Apostle Paul. Luther built his theological case upon Paul's writings in general and upon the Book of Galatians in particular (Gal. 2:16). In other words, Luther's ideas were true because they could be found in Scripture. Since this was so, whether these ideas could be sourced in the writings of the theologians and tradition was somewhat immaterial and irrelevant. Such a scenario is analogous to the rapture debate. The rapture stands or falls ultimately on whether it is a biblical truth regardless of what church history has said about it. To those who seek to diminish the rapture teaching on the basis of its lack of prevalence in church history, our response is the same as Luther's: Sola Scriptura! Because the doctrine is found in the Bible, it is true. Third, there is a very good reason why the rapture is not conspicuous in the church's creeds and confessions. Two centers of Christian thought developed early on in church history. The Antiochene school in Syria insisted that the Scripture, including its prophetic portions, be interpreted in a literal or normal way. Thus, the early church fathers connected with the Antiochene school became premillennialists or chiliasts. They were given this later title because chilia is the Greek word for "thousand" which is mentioned six times in Revelation 20:1-10. They arrived at the eschatological position of believing in a future thousand year reign of Christ on the earth because of their literal or normal approach to the prophetic Scripture. Despite reigning supreme for nearly two centuries, the influence of the Antiochene school was eventually eclipsed by the Alexandrian school located in Alexandria Egypt otherwise called North Africa. This school, which took an allegorical or non-literal approach to prophecy, eventually won the day and consequently became the dominant force in church history. Dominant thinkers emerged from the Alexandrian school including Origen of the third century and Augustine of the fourth century. Augustine's book The City of God , which was the first formal exposition of amillennialism (a view that there will be no future earthly reign of Christ based upon a non-literal approach to the prophetic portions of Scripture) became perhaps the most influential book in all of church history. Here, I am using the word "influential" not in a positive sense but rather in a negative sense. Augustine by and large put the church under an allegorical spell. From Augustine onward the majority opinion within the church was to interpret prophecy allegorically. The church did not start crawling out from this shadow until Protestant Reformers began insisting on a literal method of interpretation. Even then, these reformers were inconsistent and did not apply literal interpretation to the Bible's prophetic sections. Such inconsistency was not rectified until the budding of the Dispensational movement in the 1800s. As the early Dispensationalists began to consistently apply the reformers' literal hermeneutic to prophecy, premillennialism, which had been submerged by amillennialism for nearly 1600 years, began to make a comeback. The important point to grasp is that the creeds, confessions, tradition, and theologians cited by the anti-rapturists are all post Augustine. Since they were developed in the wake of the rise of the influence of the non-literal Alexandrian school and Augustine, it stands to reason that these creeds would omit the rapture. The rapture doctrine is built upon a literal approach to interpreting Bible prophecy. Had these creeds been developed pre Augustine or after Augustine's influence was diminished when literalism in prophetic studies again became the norm rather than the exception, it is likely that these creeds would have conspicuously mentioned the rapture. If one were unfamiliar with who made this statement, they would mostly likely attribute it to one of the modern exponents of the pretribulational rapture theory. Yet, in actuality, it is an early medieval church rapture citation. Those who study in this area have told me personally that eventually we are going to find so many statements similar to the one made by Pseudo Ephraem that it will once and for all put an end to the contention that the rapture teaching is erroneous since it cannot be located anywhere in church history prior to Darby. As more and more of such discoveries are made in the coming months and years, the rapture, which was eclipsed by Augustinian Amillennialism, is gradually being retrieved from the dust bin of history and brought back into a place of prominence within the church. For the time being, it is sufficient to say that those who argue against the rapture on the basis of the alleged silence of church history are guilty of committing various logical fallacies, ignore the origin of the Protestant Reformation, fail to consider the influence of Augustinian Amillennialism upon Christendom's most popular creeds and confessions, and do not fully consider a minority of early interpreters who held to a rapture in spite of the dominance of the Alexandrian school of interpretation. In sum, not only is the rapture an important doctrine, an event that is distinct from the Second Advent of Christ, an event that will involve the catching up of every believer to meet the Lord in the air, a reunion of living and deceased Church-Age believers, a resurrection, an event that exempts an entire generation of Church-Age believers from death, an instantaneous event, a mystery, and an imminent event that can take place at any moment, but the rapture is also a traditional doctrine now being recovered. Paul Richard Wilkinson, For Zion's Sake: Christian Zionism and the Role of John Nelson Darby , Studies in Evangelical History and Thought (Milton Keynes: Paternoster, 2007). Timothy J. Demy and Thomas D. Ice, "The Rapture and an Early Medieval Citation," Bibliotheca Sacra 152, no. 607 (July-September 1995): 305-16.